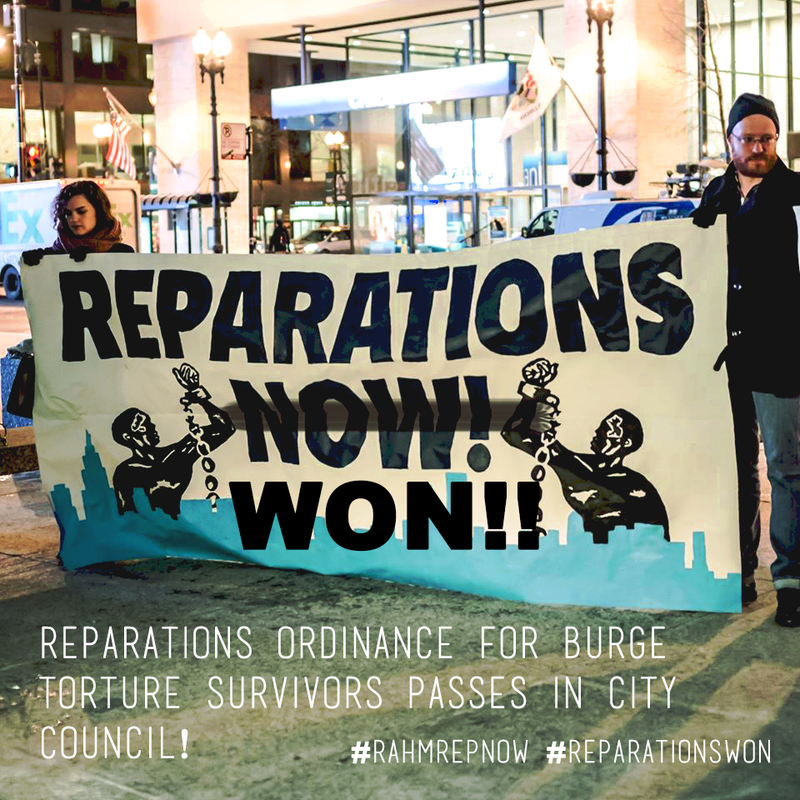 The City of Chicago made history on Wednesday May 6 when it passed legislation providing reparations to survivors of racially motivated police torture committed between 1972 and 1991. Once implemented, it will offer a measure of hope to survivors, their family members and African American communities devastated by the legacy of torture committed by infamous former Chicago Police Commander Jon Burge and detectives under his command. Chicago’s reparations package was driven by the inadequacy of traditional legal remedies to make individuals and communities whole for systemic harm. After decades of litigation, activism and investigative journalism, the truth about systemic torture of African Americans by white detectives to secure confessions, involving electric shock, suffocation, and mock execution, often accompanied by racialized abuse, was exposed. Yet full accountability proved elusive. The statute of limitations precluded Burge and his men from being held criminally or civilly responsible for their crimes of torture (although Burge was ultimately convicted in 2010 for perjury and obstruction of justice for lying about the torture he and others committed). They enjoyed decades of torturing with impunity, courtesy of a cover up by the Chicago Police Department’s chain of command and governmental officials, including former Mayor Richard M. Daley. Moreover, the limited remedies offered by civil litigation – financial settlements that were often meager and practically unavailable to the vast majority of survivors – were inadequate to address the trauma and material needs of the torture survivors, their family members and communities. Burge’s legacy of torture left festering wounds that remain open to this day. Many survivors continue to suffer from nightmares and flashbacks, grappling with post-traumatic stress disorder that has gone untreated for decades. They live under a shroud of shame, guilt, and anguish that undermines their ability to form relationships and share community with others. Survivors’ family members were also left to contend with their secondary trauma in isolation, after their fathers, sons and partners were ripped from them. As whispers of the torture spread, entire communities lived in fear that they or their loved ones would be disappeared from street corners or homes into the bowels of police stations to be tortured and terrorized. The torture, like lynchings, served to terrorize entire African American communities. Recognizing the lack of redress for these systemic harms, Standish Willis, founder of Black People Against Police Torture, made the initial call for reparations. Chicago Torture Justice Memorials (CTJM), a grassroots group of artists, activists, attorneys and survivors, amplified this call by asking police torture survivors and the larger community to imagine how they would publicly memorialize these cases recognizing the difficulty and immensity of depicting the harms perpetrated, while also recognizing the struggle waged by many for justice for decades. Through art charrettes, teach-ins, creative outreach and community dialogue, CTJM sought to spark the collective imagination of communities to conceptualize what was necessary for the City to provide in order for individuals and communities to heal from torture. This call served to redirect everyone’s attention beyond the usual cries for accountability for police brutality and to focus on holistic means of meeting the material needs of all members of impacted communities, and offering positive visions for healing and repair. Given the glaring lack of precedent in the U.S., CTJM looked to the U.N. Convention Against Torture’s principles of restitution, rehabilitation, compensation and public acknowledgment. CTJM also consulted with Juan Mendez, the U.N. Special Rapporteur on Torture, himself a survivor of torture in Argentina, and relied on the expansive scope of reparations provided for atrocities committed under the Pinochet regime in Chile when conceiving of the essential elements of the original legislation (a CTJM member is a Chilean torture survivor who fought for reparations in Chile as well). Ultimately, the reparations package, brought to fruition by an inspiring multiracial and intergenerational campaign led by CTJM, Amnesty International, Project NIA and We Charge Genocide, within the larger context of the #BlackLivesMatter movement, achieved far more than any individual criminal prosecution or lawsuit could afford. In addition to financial compensation to all individual survivors, it includes a legislative admission and apology by the City of Chicago for the torture committed by city employees, settling the historical record and placing this systemic pattern and practice of torture beyond dispute. The reparations package also includes the creation of a center on Chicago’s Southside where survivors can access specialized trauma counseling services. It extends benefits like job placement, and free tuition at City Colleges for the torture survivors and their families. 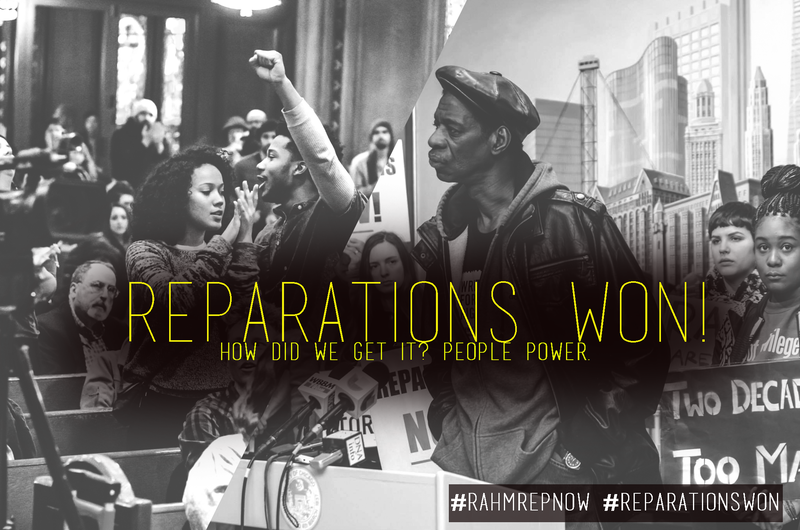 Reparations are also an exercise in collective grief, catharsis and healing. As part of this process of narrating and commemorating what Burge torture survivors endured, the City of Chicago will not only create a permanent public memorial, it will also create a living memorial through an 8th and 10th grade curriculum for Chicago Public schools about the Burge torture cases. The hope is that by inscribing these cases both figuratively and literally into the collective memory, generations to come will ensure torture is never again committed in our name. Like every reparations process, there have been fair critiques for being too narrowly focused and not ambitiously seeking redress for every case of police torture. However, while the reparations for Burge survivors focus on a finite set of particularly egregious cases, they can still serve as a model in other cities. Ultimately, each process will be unique and place specific. But Chicago’s journey provides some guideposts for municipalities to consider beyond changes in police policies that have left both victims and communities affected by racist police violence unable to heal. There is no question that excessive force, in many instances amounting to torture, causes physical injuries and leaves psychological scars. As noted by sociologists Amanda Geller and Jeffrey Fagan in their study of the impacts of the New York City Police Department’s stop and frisk practices, even less egregious forms of discriminatory policing cause significant individual and collective emotional harm. Municipalities need not shoulder this burden alone. There are approximately 40 federally funded centers throughout the U.S. offering psychological treatment to torture survivors – but unfortunately, they are only permitted to provide services to people who have been tortured outside the U.S. It is time for federal government to recognize that law enforcement officials torture people in the U.S. and that survivors need access to the same services we rightfully offer survivors of torture around the world. Ultimately, Chicago’s approach to systemic racial harm offers a glimmer of a possible future in which the nation as a whole might finally grapple with reparations for the legacy of slavery, Jim Crow and its direct descendant, mass incarceration, each of which echo through the Chicago Police Torture cases. Joey Mogul is a partner at the People’s Law Office who has represented Burge torture survivors for the last 18 years. Mogul co-founded the Chicago Torture Justice Memorials and drafted the original reparations ordinance. A smaller version of this piece appeared in Time.Com, along with the fierce thoughts of courageous Chicago Police torture survivor and activist Darrell Cannon.